Since we created this website in 2001, “visa to Belarus” was obligatory page and most difficult and confusing part of travel to Belarus. But from now on we can say – you are welcome to Belarus , and you are welcome without any special visas! Nowadays, you can stay in Belarus for 30 days/29 nights without visa. 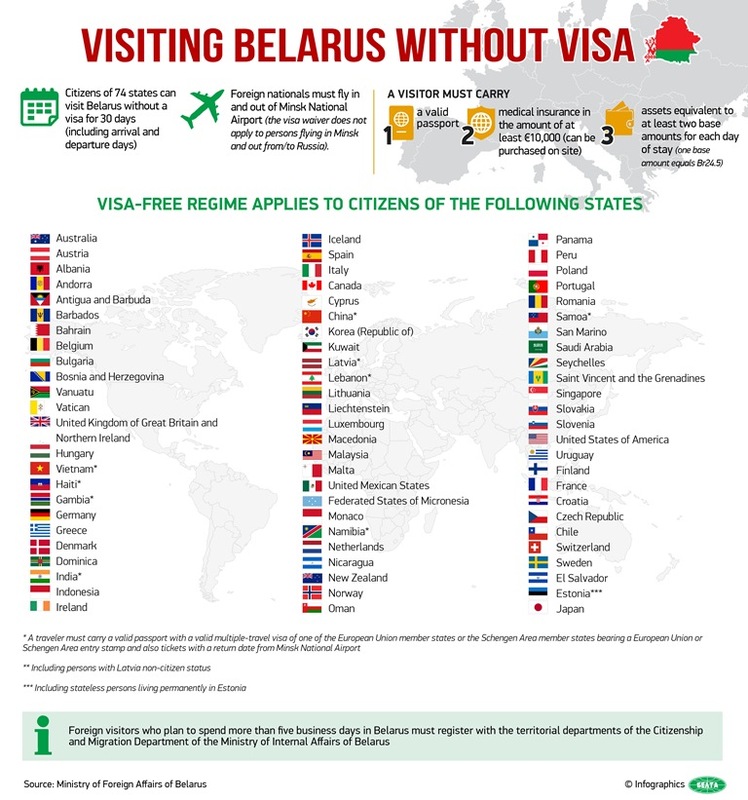 The visa-free regime does not apply to people arriving in Belarus by plane from Russia and going to the airports of Russia (these are internal flights with no border control). You cannot prolong your stay while you are in Minsk. Foreign citizens planning to stay in Belarus over five business days should register with the internal affairs bodies at their place of stay in the country. When staying at a hotel, hostel, sanatorium or other accommodation facilities, the management of the facilities is responsible for the tourist’s registration during check-in by default. Want to know more how the agency works?